than another, or will it make little difference? Of course, you can learn to fly on any helicopter, for they all have similar controls. So, in theory at least, there are plenty to choose from. However, the ones you are likely to encounter at flying schools are fairly limited in number, being the Robinson R22, Robinson R44, Schweizer 300 Cbi, Enstrom 280, or possibly the very new Guimbal Cabri G2. easy. Indeed, is often said that if someone can fly an R22, then they can fly anything. More important drawbacks are that the R22 also has a low inertia, teetering rotor head, which means that there is little room for error in auto-rotations (engine-off landings). Also, the cockpit is somewhat cramped, so the machine is not suitable for large-size people. If you fit in this category, maybe try one on for size before you commit yourself. This is the four-seat version of the R22. It is much larger, so is suitable for bigger people but the cost of learning on it is correspondingly higher. Handling is similar to the R22, but the machine is much heavier, so it is not as twitchy and general flying, hovering and autorotations are all easier to manage. The newest version, the R44 Raven II, has a fuel injected engine, so the problem of carburettor or ‘carb’ icing is eliminated. Overall the R44 is a comfortable, fast, easy-to-fly helicopter. It is excellent for training and suitable for touring and other uses once you have got your PPL(H). The cost of learning on it is often the only issue and therefore many students decide to learn on the R22 then convert to the R44. Conversion is easy, since the two machines are so similar, so this is therefore an increasingly popular option. 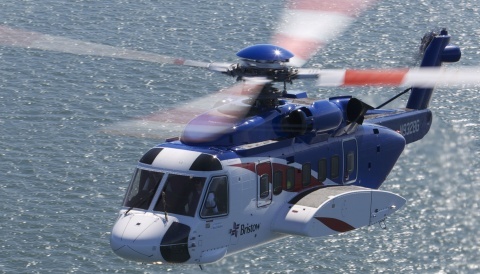 This helicopter was specifically designed as a training aircraft and as such it is excellent. It has a fully articulated rotor head, so it is very stable and forgiving of mishandling by students. It is stable and easy to fly, so much so that students often learn in fewer hours than those learning to fly on the R22. The cockpit is roomier than that of the R22, so it is more suitable for larger sized pilots, though of course there is less room than in the four-seat R44. The engine is fuel injected, so there is no requirement for ‘carb’ heat. On the downside, unlike most modern helicopters, the Schweizer has no rotor rpm governor, and therefore manual throttle control is required. The helicopter is also rather slow, and so it is not terribly suitable for touring. 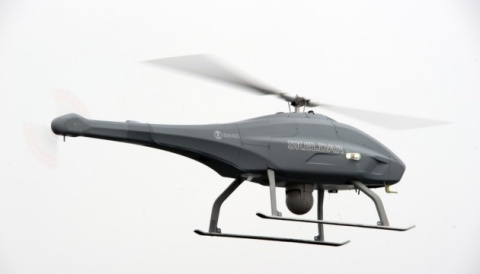 This is a comfortable, safe, easy to fly helicopter. It doesn’t even look like a typical small training helicopter; it appears large and substantial, and there is plenty of room in front for two people, or even three. It has a fully articulated rotor, and the large rotor blades have plenty of inertia, meaning that autorotations are far easier to learn and practice than in the Robinson R22. The helicopter is very stable, both to fly and hover, and gives a feeling of security for the beginner, while being manoeuvrable enough to be fun for the more experienced helicopter pilot to fly. Start-up is straightforward and the piston engine is fuel-injected, so there is no carburettor heat to worry about. However, in common with the Schweizer 300CBi, one feature the Enstrom 280FX lacks is an rpm governor. This is not a major problem, for there is a very effective ‘correlator’, but it is something to be borne in mind. And your main problem is likely to be that few schools use it and there are not very many of these machines around. But if you can find one, it is to be recommended. 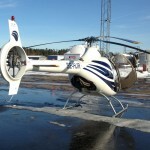 The Cabri G2 is a two-seat light helicopter with a three-bladed fully articulated main rotor and Fenestron tail rotor. 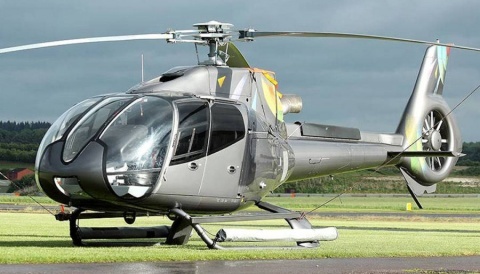 This helicopter was developed very recently, and it is the only one of this list of trainers which I’ve never flown – though I have sat in one! However, I’m hoping to remedy that soon. It looks fabulous and has received some tremendous reports; indeed many people are expecting it to take over from the R22 as a popular trainer. It was actually built with training in mind, has automatic ‘carb’ heat, and is said to be very forgiving and easy to fly. A few schools are now beginning to use this helicopter. However, if you want to learn on one of these, you may have to hunt around and make a few phone calls. So which helicopter should you choose? As with everything, in life as well as flying, there are all sorts of pros and cons. It is worth doing some research, and perhaps even having a trial lesson in each type of machine. However, in the long run it really does not make a great deal of difference. A helicopter is a helicopter, and once you can fly, converting between different types is relatively easy. You may wish to do this anyway, since a good trainer is not necessarily the first choice of aircraft once you are a qualified pilot. Therefore the most important thing is to go out there and learn to fly; everything else is secondary. So have fun!